While I’ve (thus far) neglected to blog about the details of our Puerto Rico Vacation, here are some “lessons learned” for those of you that are considering it for a vacation. Soda – In the nearly two weeks on the island, only two restaurants had fountain soda. Nearly all of the rest had only cans. So plan or order accordingly if you are a big soda drinker. Rain – Rain in Puerto Rico is inevitable. Make sure that your itinerary has some “fluff” to accommodate rain days. We were extremely lucky, with only one full day of rain. “Cheap” is Relative – You will read reviews of restaurants noting their cheap or affordable menu. Be aware that this is not quite what it is back at home. An affordable dinner is sub $25 in Puerto Rico. Plan on paying at least $15-20 per person, if you want full service, even in the Luquillo Kiosks. You are not being pulled over – Apparently it is the law in Puerto Rico, that all in-service emergency vehicles must have their flashing lights on, while in motion. This is a little odd to get used to, especially when there are blue lights right behind you. Pay-at-the-Pump – I failed to see a single gas station that accepted credit cards at the pump. So plan on having to go inside to pay for your gas. It may be wise to get gas in busier/touristy areas if you do not speak Spanish. GPS/Googleing Businesses is Useless – It appears that the regulatory requirement to start a business in Puerto Rico are simple: sell stuff. There are no accurate business listings in Google, Google Maps, Bings, your GPS, etc. If you search for “restaurants” on Google maps or your GPS, you will only get the large chain locations. 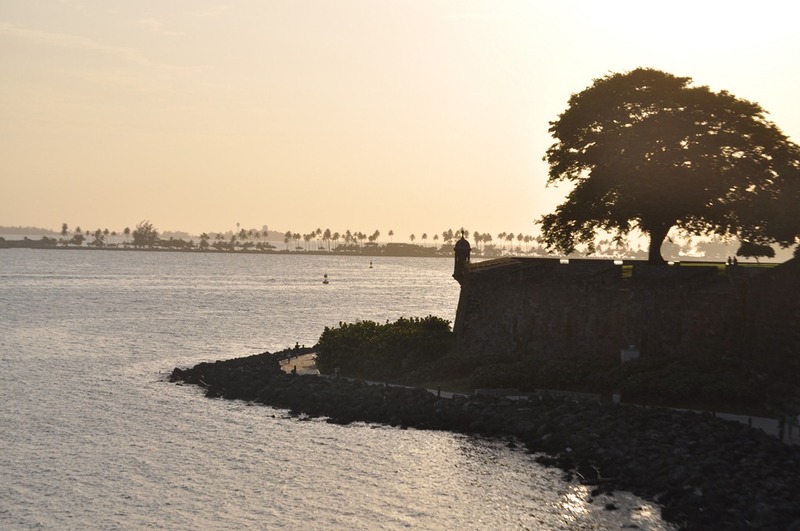 Use websites like PuertoRicoDayTrips.com or Yelp for recommendations. Or better yet, just ask a local. Get to know Latitude/Longitude – Addresses are basically non-existent. Ensure you have a GPS capable of entering Latitude/Longitude coordinates, and not just street addresses. Driving – While driving in traffic, you will quickly notice that if a car can fit in a space; there will soon be a car there. Turning lanes and lanes in general are merely guidelines not rules. You will often see drivers take left hand turns from the far right lane on a four lane highway. Cash is Imperative – Many of the best places to eat and visit in Puerto Rico are basically shacks. A lot of which will not accept credit or debit. Internet Access (check the fine print) – If you are planning on a vacation rental, like we did, from VRBO.com or the like, ensure that you get the full details of connectivity before you book. The condo we had was advertised as having high speed internet, but in reality is was simply a AT&T Mobile Internet card with only 500MB of download available. Thank goodness for my rooted Android! PuertoRicoDayTrips.com – This website is the single best source for the Puerto Rico virgin. Nearly every activity that we did, started from a tip or post on this website. Being an over planner, I was not going to take any chances with internet connectivity, so I used a website mirroring tool to download the ENTIRE website to my laptop. I cannot recommend PuertoRicoDayTrips.com enough. All-in-all, Puerto Rico turned out to be a very cost effective vacation. There is a surprising amount to do on the little island. But I’d go again, I’d change my itinerary to travel the island more and to definitely spend more time on the out islands of Culebra and Viequez. We’ll be back, but likely without kids.